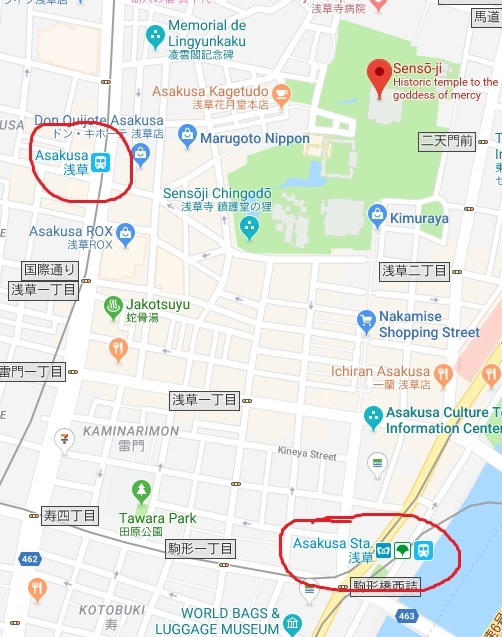 Just a quick question on Asakusa, i noticed on google map and on Suica map that there are 2 Asakusa stations. But one is on Ginza line whereas the other is connected to Ginza & Asakusa line. Best part is Sensoji temple is in between them. lol. Namikase street seems to be on the bottom right station rather than the top left one. what is the question ah? most ppl go via the bottom right one coz they want to pass thru namikase street before going to sensoji.